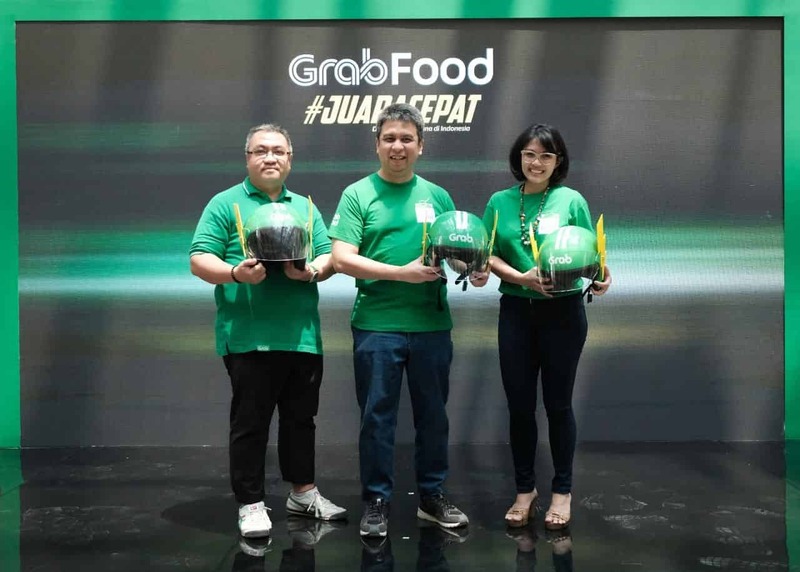 Jakarta, 29 March 2019 – Grab, the leading everyday super app in Southeast Asia, today announced new milestones of its food delivery service, GrabFood. Now available in 178 Indonesian cities, GrabFood delivery volume grew almost 10x in Indonesia from the period December 2017 to December 2018. As GrabFood business scales, the average delivery time for GrabFood orders have reduced to 29 minutes. In a survey conducted by Kantar, a third-party research firm, Indonesian GrabFood users rated the service as their #1 fastest food delivery app. New data from another third-party market-research firm, Nielsen, also show that three in four respondents in Jakarta said that fast delivery is the reason they use GrabFood. GrabFood continues to sign deals with local favourite food and beverage brands, providing more food options to satisfy different palates. Over 150 top international and national food chains such as McDonald’s, Bonchon, Dominos, Starbucks, Subway, Krispy Kreme, Burger King, Bakmi GM, Long John Silvers, Wendy’s, The Coffee Bean & Tea Leaf, HokBen, and more, have signed on as partners with GrabFood. The number of merchants in Indonesia grew 8x, and more than 80% of GrabFood merchants are micro-, small-, and medium-sized enterprises (MSMEs). “As our food delivery business grows, our partners also grow with us. We’re most excited that our delivery-partners now earn up to 40% more in income from delivering food orders on top of taking rides, while merchant-partners earn up to 88% in incremental revenue within five months of joining GrabFood,” said Ridzki Kramadibrata, President of Grab Indonesia. GrabFood has the largest regional presence in Southeast Asia today and is the only company with food delivery services in six major Southeast Asian countries. Revenue for GrabFood across the region grew 45 times in March 2018 to December 2018. “Customer experience is at the heart of everything we do at Grab, we carefully consider our consumers’ food preference and continue to expand our pool of restaurant-partners to serve local cravings. We are happy that customers choose us as their preferred food delivery service that delivers their everyday favourites, with speed, reliability and quality. To celebrate our milestones, GrabFood launched a special #JUARACEPAT promo series that will be running until 30 April. Consumers can enjoy fast delivery with GrabFood in just a few taps on their smartphone,” said Mediko Azwar, Marketing Director, Grab Indonesia. Based on survey conducted by Kantar for food delivery service in 10 big cities of Indonesia – January 2019. Based on research conducted by Nielsen from 20 February to 26 February 2019 in Jakarta with a sample base of 330 respondents.